Do you remember the timeless song of Tagore ‘Purano Shei Din er Kotha’? Did you know that the song is inspired by Robert Burns’s Scottish composition “Auld Lang Syne” (meaning – Times Gone By)? 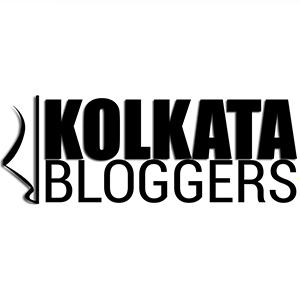 Gone are those days when Kolkata was steeped in Old British Culture! The Country House promises to bring back to us the charm of the ‘Times Gone By’. This new café is one of the oldest piece of architecture in Today’s Kolkata; dating back to over a century to 1901. At Country House the old complements the new and their amalgamation creates a diversified symphony that transcends the boundaries of language, age, gender; something like the songs that I talked about earlier. This café is located in Allenby Road, close to Forum Mall. Though it is surrounded by the hustle and bustle of locomotive prone, overcrowded, fast, modernized city, it has a quaint charm about itself. The moment I stepped down from my cab, I noticed a white, old British-Style Building with arches, big windows and lots of surrounding greenery; I immediately got a very positive vibes from this place. As I stepped in, I was welcomed by a colorful, cute bakery. I was warmly welcomed by the owner Vikas Chowdhury . There was a bold, wooden stairway that leads to the first floor, which is primarily the café area. The second floor is meant for private parties and has a cozy look about itself. As I entered, I was immediately enamored of the place. The interiors are sophisticated done in white. The brick exposed wall, the huge glass windows with the old British style arch, the wall art in black, the bold vintage paintings, the quirky mugs hanging on the wall, the kettles as flower pots, the small chandeliers , the mystical lamps, switchboard from my grandfathers era, high ceilings everything exuberated a charm of the ‘Times Gone By’. Among all this quaint charm, we meet the Owner – Vikas Chowdhury, who is the quintessential modern man of the 21st Century. He is funny, he is warm and he is courteous; the exemplary host from both worlds. Kudos to him for the entire concept of the place. While his perception of interiors has been alluring customers into TCH since its inception, his knowledge of food has satiating their gastronomic desires. To add to the old British charm, TCH serves the most charming European Food. Along with other food enthusiasts, I was invited for a Bloggers Meet at The Country House. An elaborate and diverse menu was especially selected for this meet. I must begin with saying that I was quite amazed with the sheer versatility that the drinks menu had to offer. Not only did they bring the colonial times British architecture alive but also an aspect of their culture – a wide range of hot teas with diverse flavors. Their hot tea menu is itself two pages long, and their variety is commendable. With numerous teas, coffees, shakes and mocktails, I was spoilt for choice. #Hot Coffees – Dark Chocolate Latte & Latte Latino: These innovative hot coffees were a fantastic start to our grand foodathon. Firstly the came in very interesting looking mugs with catchy messages and graffiti. On one Mug it was written ‘With Great Beard comes Great Responsibility’; as a joke on a person who can get coffee over his long beard, while drinking from the mug. Another one had – ‘Me? Sarcastic? Never!’ ; ironically my foodie friend who was drinking from that cup was the most sarcastic of us all. I simply loved those mugs !! These mugs are all TCH products and I encouraged Vikas to sell them. #Hot Teas – Autumn Crescendo Tea & Sunshine Bloom Tea: Both the teas were aromatic beauties. I’m a tea lover, and both the teas won my heart with their distinct flavors. #Hot Hazelnut Chocolate: The hazelnut and chocolate combination was delectable. It had a rich aroma. #Cold Coffees – Dark Chocolate Cold Coffee, Spiced Cold Coffee, Crispy Cold Coffee: Another set of drinks that left me wondering where Vikas gets all this innovation from!! The spiced cold coffee had a strong cinnamon flavor and crush ice. I love strong coffees so crispy cold coffee won me over with its mild bitter taste interspersed with crushed chocos flavor. I love dark chocolate, i love coffee, put them together and I love it even more. Dark Chocolate Cold Coffee was a hit. #Iced Tea- Lemon, Green Apple, Ginger: All the iced-teas came in bulb shaped glasses. I loved the presentation and had to click a billion pictures to satiate the budding photographer in me. All the iced teas had distinct, strong flavors. I loved all of them but the Ginger Iced Tea turned out to be my favorite. #Chef Special Soup: The soup was quite delicious and the portion was generous. It looked enticing with a vibrant orange color and tasted rich. #Mushroom Burgundian: Showstopper of the evening. Buttoned mushroom with Burgundian Wine, Balsamic Vinegar and Croutons. Even if a write an entire page about this dish, i will still not be able to explain hoe delicious it tasted. So I wouldn’t event attempt. Just go, try and be WOWWWWWEEEDDD!! #Fries Basket: Potato Wedges, French Fries and Crispy Potato Rosti along with in-house dip. All the fries were delicious, crispy and the dip was yummy. It had a beautiful and alluring presentation. The moment i appeared on our table, i simply pounced on it. #Mushroom on Toast: Frankly TCH has excelled in mushroom based dishes. What mushroom dish they touch, its pure gold. And this was no different; an yummilicious dish! One of the major attractions of the evening. #Exotic Grilled Veg Sandwich: The sandwich had lots of veggies and tasted different. I quite liked it. It came with some chips and mustard mayo dip. #Penne Pasta in Arrabiata Sauce: This red sauce paste tasted yummy with its slightly tangy flavor. The presentation was marvelous. It came two portions of garlic bread. The bread tasted nice and crunchy. #Chef’s Special Burger: This was a mid-sized burger and came with coleslaw, chips and mustard mayo dip. The burger had a crispy vegetable patty with a layer of nachos(how Innovative!!) and mustard mayo dressing. This unconventional burger looked alluring and tasted palatable. #Spaghetti Pasta in Cheese Sauce: This pasta had lots of broccoli, bell pepper and cheese. This pasta looked enticing even from afar and came with two portions of garlic bread. This cheese infused pasta won my heart and left me wanting more. #Creamy Mushroom Risotto & TCH Chef Special Risotto (Corn Risotto) : Creamy risottos with lots of mushroom or corn. They came two portions of garlic bread each. The risottos were the another showstopper of the evening! The were rich, creamy, and mind-blowing-ly delicious. I simply fell in love with their subtle, creamy taste. I had an amazing time at THE COUNTRY HOUSE!! I wish Vikas and the team of TCH all the success in the world and thank them for an unforgettable evening!! Next Reflexion(Majestic Suits): Mirror Mirror on the wall, who is the fairest of them all ? Thanks .. have a great week !